Andrew E. Chesanek , 82, of Southington , passed away on Wednesday, November 28, 2018. He was the loving husband of Gail “Bonnie” (Belleni) Chesanek for 60 years. Andrew was born in New Britain on June 27, 1936 to the late Andrew and Helen (Yelenak) Chesanek. He is survived by five children: Karen Condon of Portland, Steve Chesanek of Bradenton, FL, Andrew Scott Chesanek of Winsted, Dianne (Chesanek) Greaves and husband Thomas of Westbrook, Garry Chesanek and wife Joannie of Colebrook; 4 grandchildren, Drew Chesanek and wife Shaya of FL, Kayla Chesanek of FL, Cody Greaves and Thomas Greaves and one great-grandson, Carter Chesanek of FL. 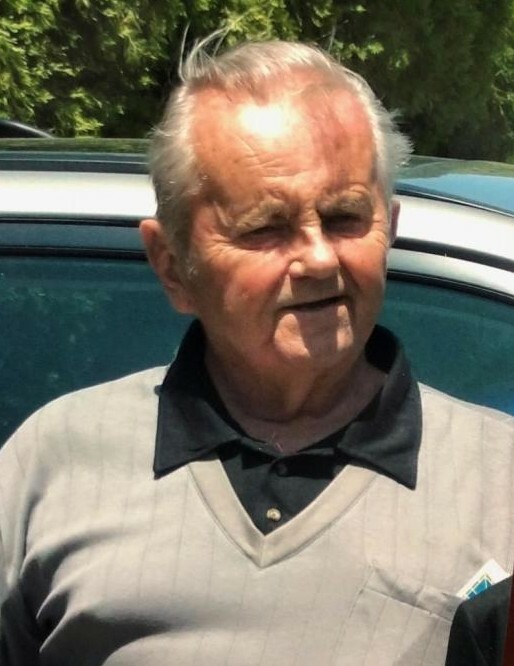 He also leaves behind two sisters, Irma Czerwinski and Joyce Clinch and husband Robert, one brother, William Chesanek and wife Carmen, sister-in-law, Sharon Chesanek and brother-in-law, Edward Czarnota, and sister-in-law, Laura Belleni many nieces and nephews. He was predeceased by John Chesanek and Josephine Czarnota. In lieu of flowers, donations in Andrew’s memory may be made to the CT Humane Society, 701 Russell Rd., Newington, CT 06111.